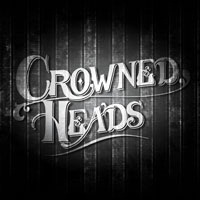 Tripp talks with Jon Huber from Crowned Heads about new releases and swag. Surgeon and Tripp sit down with TAA from Crowned Heads & Rum. Special guest Barry Stein from The Cigar Authority joins them. This week we're joined by Jon Huber from Crowned Heads Cigars! Jon talks about his 2016 projects, 2017 projects, the TAA meeting from March, and the upcoming IPCPR. Surgeon sits down to review the Le Careme by Crowned Heads. Jon Huber will join us on Monday for a special episode of CigarChat. Who am I kidding, EVERY episode is special! We'll talk about ll the goings on with Crowned Heads. Jon is a longtime friend of the show, so it will be fun to catch up! We have some SERIOUS prizes! A metric ton of La Imperiosa's, Las Mareas Flexfit Hats and a Crowned Heads Hoodie... all up for grabs... So post your questions in the Q&A app for a chance to win! Rob sits down with Jon Huber of Crowned Heads to talk about the new La Imperiosa. Jon also talks about some cool CH swag. Join Logan as he has several FedHeads join in the discuss on the Buckingham and all things Crowned Heads. We have Jon Huber, co-founder of The Crowned Heads, on the show. 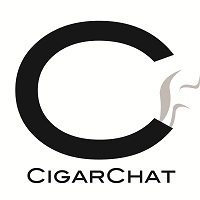 We talk about his new blends and also talk about the Texicali project Crowned Heads is doing exclusively for CigarChat. Jon Huber gets into all the details on the Headley Grange Drumstick, and some other crazy projects he is working on for 2014, which include two limited releases.